As part of the M7 Upgrade project and & continuing works at the new Osberstown Interchange between Junctions 9 (Naas North) and Junction 10 (Naas South), further diversions are scheduled for this coming weekend on the M7 mainline. Similar to March 29th/30th traffic diversions in this area, for the coming weekend, traffic will again be directed around the area of the works via the newly constructed off/on slips of this new interchange. Works will take place over the weekend of Fri 12th, Sat 13th & completed Sunday morning April 14th. The eastbound traffic will be directed onto the slips from 9pm on Friday 12th April with the westbound from 10pm on the same night. This arrangement will continue throughout the weekend with traffic running in two lanes on each carriageway during 06.00 - 22.00hrs each day. Before 09.00hrs on Sunday 14th April the works are scheduled to be completed and traffic returned to the current mainline. 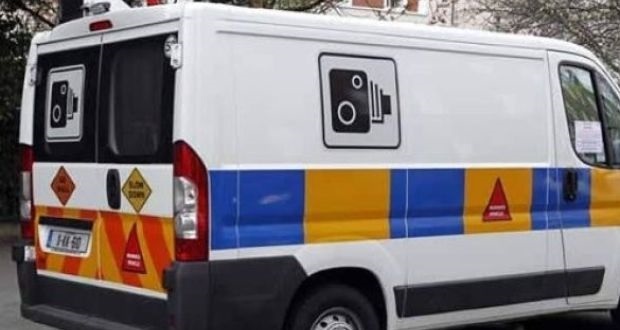 "Go Safe” vans continue to enforce speed limits through the Works on the M7 Motorway, with over 6,000 Prosecutions to date. Junction 8 to Junction 11 – Speed Limit of 60Km per Hour. Please be advised, the high volume of truck movements thru the village of Sallins will return over the coming months. With Spring upon us, earthworks operations associated with the M7 Widening scheme have re-mobilized. We wish to apologise for any inconvenience caused by this increased volume of traffic and advise that we are constantly monitoring with a view to mitigate against the impact of these works on the local community and ensure our works are carried out with Safety as our priority. An Garda Siochana have sent out a serious warning to motorists about the 60km per hour speed limit during the M7 roadwWidening works. See their facebook post by clicking here.